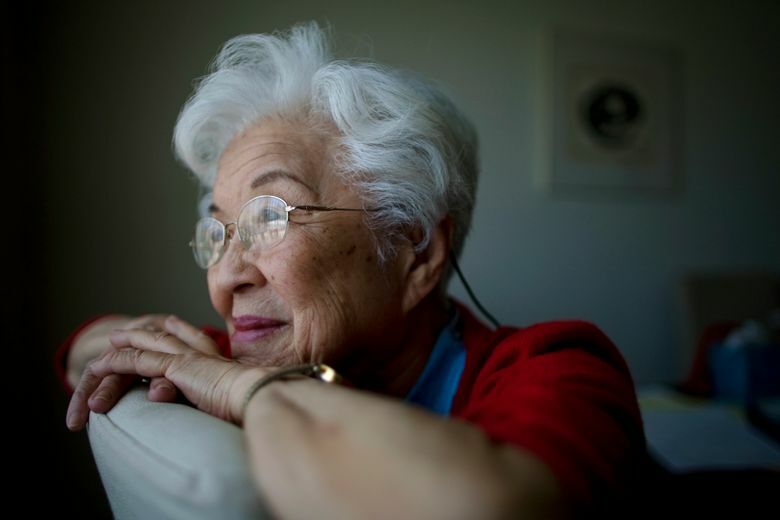 LOS ANGELES (AP) — Aiko Herzig-Yoshinaga, who uncovered proof that thousands of Japanese-Americans incarcerated in the United States during World War II were held not for reasons of national security but because of racism, has died at age 93. Bruce Embrey, co-chair of the Manzanar Committee, told The Associated Press Wednesday that Herzig-Yoshinaga died July 18 at her home in the Los Angeles suburb of Torrance. Her discovery of a 1942 document revealing the real reason that approximately 120,000 Japanese-Americans were kept in camps around the country led to formal apologies from President Ronald Reagan and others and the awarding of $20,000 each to those locked up. Before she came across the document buried in the National Archives the government had maintained Japanese-Americans were sent to the guarded camps during the war because there was no time to determine who might be spies. But the real reason, according to the document drafted by Lt. Gen. John L. DeWitt, and uncovered by Herzig-Yoshinaga in 1982, stated incarceration was because authorities considered it “impossible to separate the sheep from the goats” when looking for spies among Japanese-Americans because of the cultural similarities of all. “Her discovery of that original published justification, which was then later altered 180 degrees, revealed that the motivation for incarceration was not really a military necessity but outright racism,” said San Francisco attorney Dale Minami, who used it as evidence in getting wartime convictions vacated for those who refused to report to relocation camps. Until Herzig-Yoshinaga found it, Minami said, the government believed every copy had been destroyed. He called her a pre-eminent researcher who knew her way around the National Archives perhaps better than anyone. Born Aug. 5, 1924, in Sacramento to Japanese immigrant parents, Aiko Yoshinaga moved with her family to Los Angeles as a child. She was a 17-year-old senior at Los Angeles High School when Japan attacked Pearl Harbor on Dec. 7, 1941, plunging the United States into World War II. Soon after, she learned she and 14 other Japanese-American students at her school would not graduate with their Class of 1942. “You don’t deserve to get your high school diplomas because your people bombed Pearl Harbor,” she recalled her school’s principal telling them. Forty-seven years later they would receive those diplomas, at a special ceremony held at Southern California’s Santa Anita racetrack, where numerous Japanese-American families had been housed in horse stables before being shipped to relocation camps. Denied graduation, Herzig-Yoshinaga instead eloped with her fiance, and the couple was shipped soon after to Manzanar. Now a historical site, it was then a sprawling, barbed-wire enclosed makeshift prison perched on a dry, dusty, barren region of California’s high desert and surrounded by guards. It was there, in a tarpaper-covered barracks shared by three families, where she gave birth to her first child. After the war she moved to New York, divorced, remarried, gave birth to two more children and divorced again. It was while living as a single mother in the 1960s, she would recall years later, that she began to seriously question why her government had her locked up. Her third husband, Jack Herzig, a lawyer who fought against the Japanese as an Army paratrooper in World War II, aided in her search after the couple married in 1978 and moved to Washington, D.C.
“She was just a regular person who was wondering, ‘Why was I plucked out of high school before my senior year and not allowed to graduate?’ And that drove her personal crusade,” Minami said Wednesday. Herzig-Yoshinaga is survived by her son, David Abe, and daughters Lisa Furutani and Gerrie Lani Miyazaki. Her husband, Jack Herzig, died in 2005. A memorial is planned Sept. 2 at the Japanese-American National Museum in Los Angeles.